At The Place for Lofts, our goal is to connect you with downtown Minneapolis lofts and condos for sale, including new construction like Portland Tower and The Legacy condos. These exceptionally well-crafted, high-end lofts are just footsteps away from nearby attractions such as the Nicollet Mall, the Theatre District, and the Skyway system. This modern urban lifestyle comes complete with unlimited shopping, extraordinary dining, and immediate access to sports and recreation, featuring the very best the downtown Minneapolis has to offer! As the original developers of many of these properties, the team at The Place for Lofts has the expertise and insight to match you with the perfect condo. For work, play, and the best in downtown living, let The Place for Minneapolis Lofts and Condos serve you today! This is an opportunity to change your life! Our properties are redefining luxury, convenience, and recreation to offer a lifestyle like no other in a city that’s been called “so hot, it’s cool.” Let us introduce you to the loft lifestyle in Minneapolis, where superior value and contemporary living can be yours. 93 SOLD | 5 FINISHED MODELS – ALL AVAILABLE FOR QUICK OCCUPANCY! 3 NEW Models coming early 2019. 18 Units Still Available to Personalize! The excitement is building at Portland Tower, the newest luxury condos SELLING NOW at the corner of Portland Avenue and 8th Street S in the Downtown East district of Minneapolis! Over 70% of the units are currently sold or reserved, so act fast and choose your dream view! You may fully customize your new condo, and enjoy a wealth of new amenities cropping up in the neighborhood–like the new Commons Park and U.S. Bank Stadium, just a couple blocks away. Call (612) 341-4000 to schedule a viewing, or come visit our Sales Center located within Portland Tower. Walk-ins are welcome, and guest parking is now available inside. We’re open from 11am to 5pm, 7 days a week! Visit the Portland Tower website! DOWNTOWN MINNEAPOLIS is the Place for Lofts and Condos! Coming to the Mill District is an urban living experience unprecedented in Minneapolis. A signature project by the city’s foremost developer of luxury condominiums, for which quality and comfort are just the beginning. Introducing THE LEGACY, a spacious 374-unit development bordering Gold Medal Park and brimming with vision–and views. Roof terraces, community and exercise space, a dog run and rain garden. These are just the start of what you’ll experience, with top amenities and an elegant living space customized to your wishes. CONSTRUCTION COMPLETE – NOW OCCUPYING! Visit our Sales Center at 1240 2nd St. S. OPEN Mondy-Friday 11:00-6:00 and Saturday-Sunday 11:00-5:00. NOW AVAILABLE FOR VIEWING-8 Furnished Models with 5 NEW MODELS coming in the Spring, 2019. AVAILABLE FOR PURCHASE-1 finished spec unit. Purchase and book your closing. 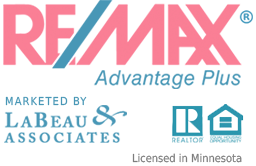 We’d love to help you find the perfect Minneapolis condo or loft. Give us a call at 612-341-4000 or fill in the form below. Over 70 local food vendors and artists! For the second year in a row, the Trust for Public Land ranks Minneapolis’ park system first in the nation. According to the Minneapolis Downtown Council, the population of Minneapolis increased 2.7% last year. Join our mailing list to get the latest news and listings for downtown Minneapolis condos!